Dispersa performs periodical checks from distributed checkpoints. 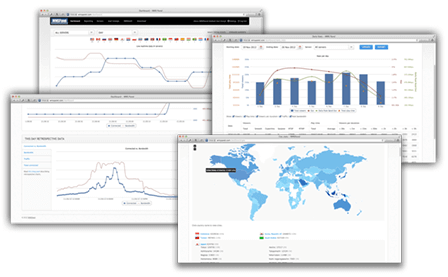 Also, take a look at Qosifire is live streaming quality monitoring service. It allows checking media streams for protocol-specific issues and various quality parameters. WMSPanel is part of Wowza Media Systems technology alliance ecosystem. 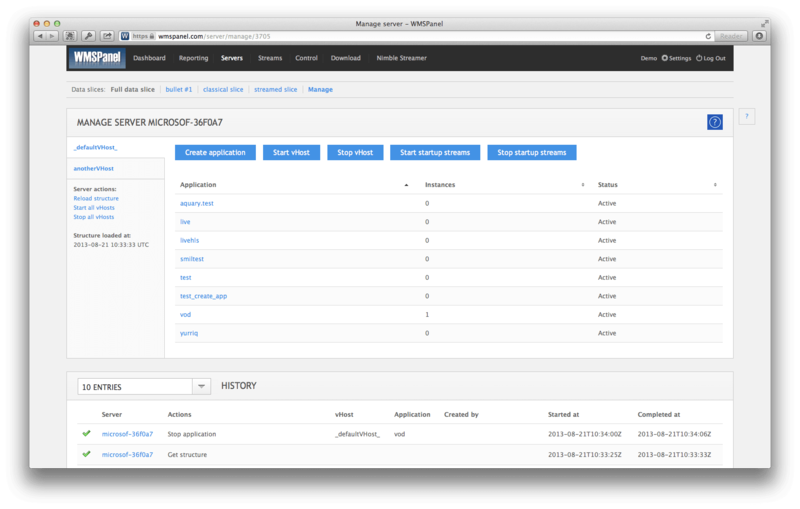 Apply control actions to multiple servers within a few clicks. Manage Wowza virtual hosts, applications and instances. Simplify everyday activities via Wowza application templates. Control your live streams and record them to files. 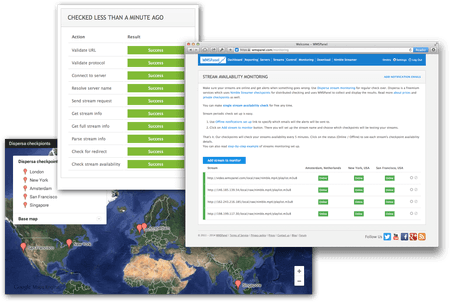 Control Wowza Transcoder add-on via unified web interface. See CPU and RAM level and get alerts when Wowza runs out of CPU and RAM. Get notified when your RTMP stream is unpublished or published. Notifications on server unavailability via push API and email alerts. Use Pay-per-view framework for building scalable per-user access control. Set up geo-location and IP ranges allow/deny lists. Define connections count and bandwidth limitations. Integrate hot-linking protection and domain restriction to have re-publishing protection of your media. Make combinations of protection features for different media resources. Panel UI perfectly works on PC, iOS and Android browsers, no Flash or Silverlight required. WMSPanel uses specific Wowza add-on for gathering data. No server logs processing. No SSH or JMX required. 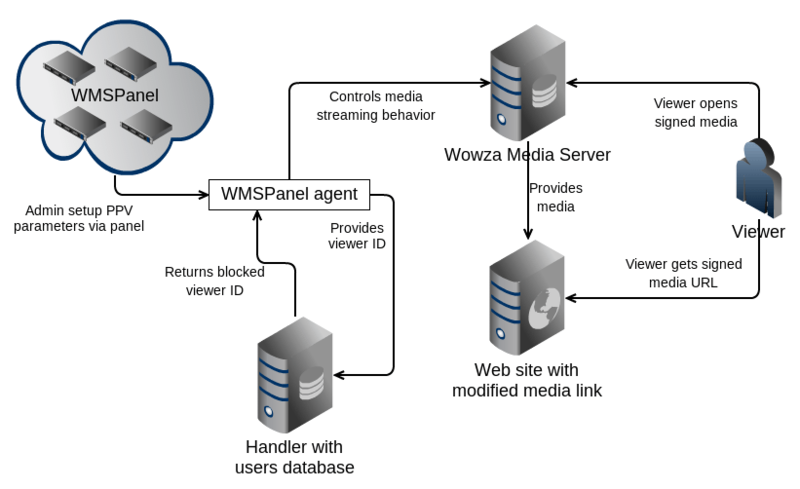 Supports latest Wowza Streaming Engine 4.x and is fully compatible with Wowza Media Server 2.2.x and 3.x releases. Agent works on any operating system supported by Wowza and has cross-platform Java-based easy-to-use installer. WMSPanel cloud infrastructure provides high level of availability and robustness.